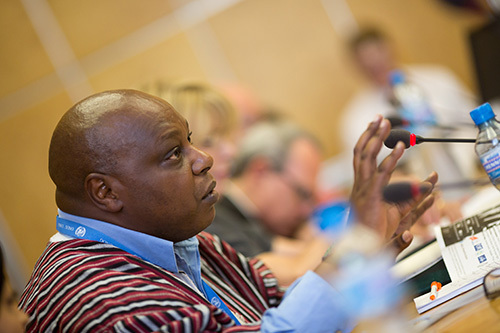 In Special Rapporteur Maina Kiai’s previous reports, he has focused on States’ obligations to ensure the free exercise of the rights to peacefully assemble and to associate at the national level. 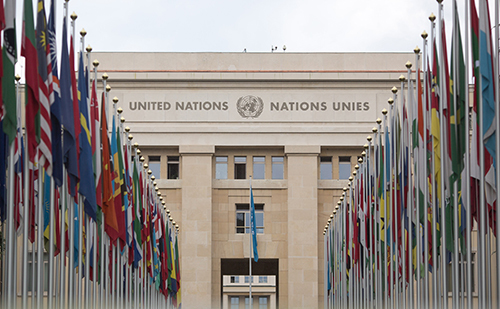 In this report, the Special Rapporteur examines the exercise of these rights at the international level – specifically in the context of multilateral institutions. 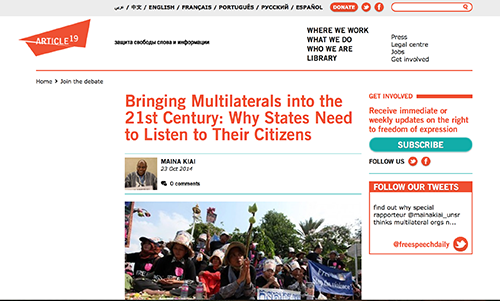 Increasingly, global governance is becoming fragmented and diffused among a broad range of multilateral entities, ranging from well-known bodies such as the United Nations and World Bank to lesser-known ones. 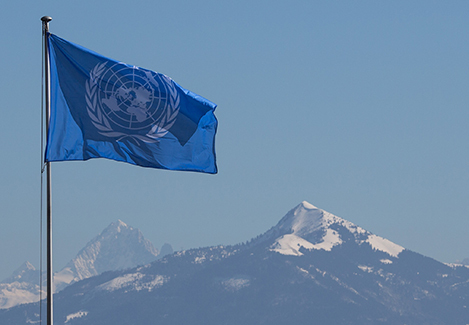 The decisions of these institutions can have a profound impact on the lives of ordinary people across the globe as these institutions institute development projects, spur economic and political reform, help shape international law, and more. Yet much of this impact upon ordinary people occurs without ordinary people’s input. 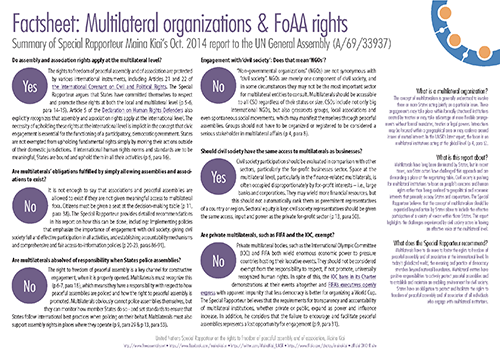 The rights to freedom of peaceful assembly and of association are equally fundamental and protected at the national and multilateral levels. 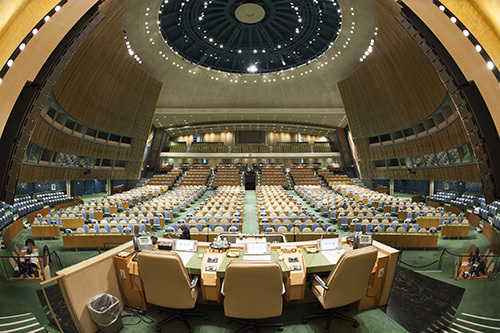 Yet civil society is far too often excluded from international debates; multilateral institutions commonly view peaceful assemblies during global summits or when implementing a project as posing a security threat; the operations of many multilaterals lack transparency; and reprisals against human rights defenders who cooperate with multilaterals are common. 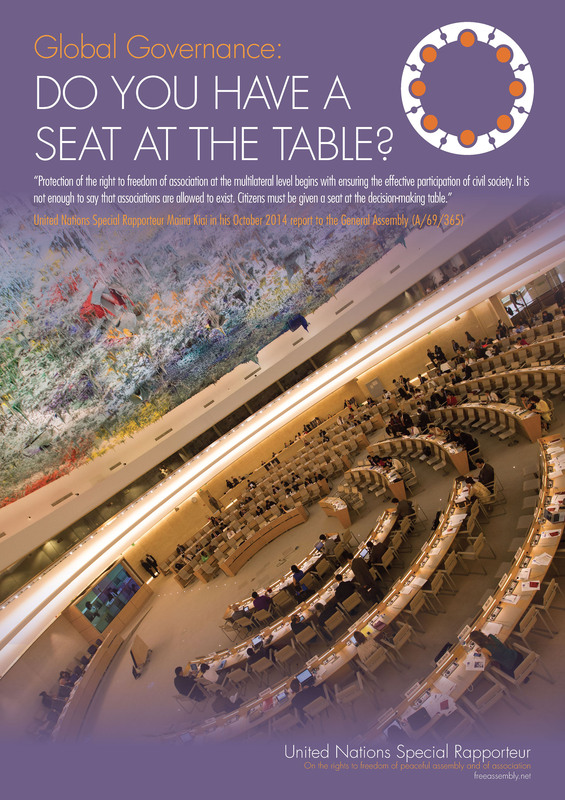 In this, the Special Rapporteur’s second report to the UN General Assembly, he examines obstacles to the exercise of assembly and association rights in the context of multilaterals – some erected by these entities themselves, and some erected by the States that comprise them. He also makes extensive recommendations on what can be done to improve the situation. The report’s document number is A/69/365. 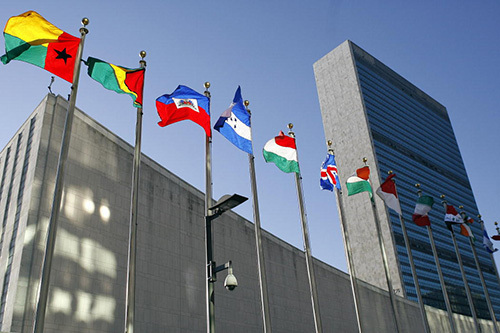 Kiai presented this report to the UN General Assembly in New York on Oct. 28, 2014.